Robin Walker, Parliamentary Under Secretary of State at the Department for Exiting the European Union, took a tour of the north-east port facility. Mr Walker, who is also MP for Worcester, said he was determined to help those in the industry as they cast their nets in a new world after March 29. He said: “What we’ve been talking about is the huge opportunities for making sure we take control of our waters and have annual negotiations. “When you say will we give up any of the fishing rights – of course we will have negotiations about access to our waters as it won’t be that we get 100% straight away. “But we need to grow and catch in a sustainable way that supports the industry and that’s what we’re determined to do. “Clearly, the Prime Minister wants to address certain aspects of the backstop, particularly the fact it could run indefinitely which isn’t in the UK’s interests. “I think that’s our main concern as we want an alternative approach to addressing our commitment to Northern Ireland that doesn’t means changing our approach. “I also understand concerns on the transition implementation period as we won’t become an independent coastal state over night – that’s a sensible compromise to ensure we’ve the arrangements in place to make sure trade can continue. While at the market, Mr Walker confirmed he was “optimistic” there would be a deal set by March 29. He added: “The interesting thing to me on this visit is the sense of opportunity here, on the scale where there’s already been a big expansion of the facilities, and the sheer sense of investment opportunity really struck me. “Seeing it for yourself brings home where that opportunity is. 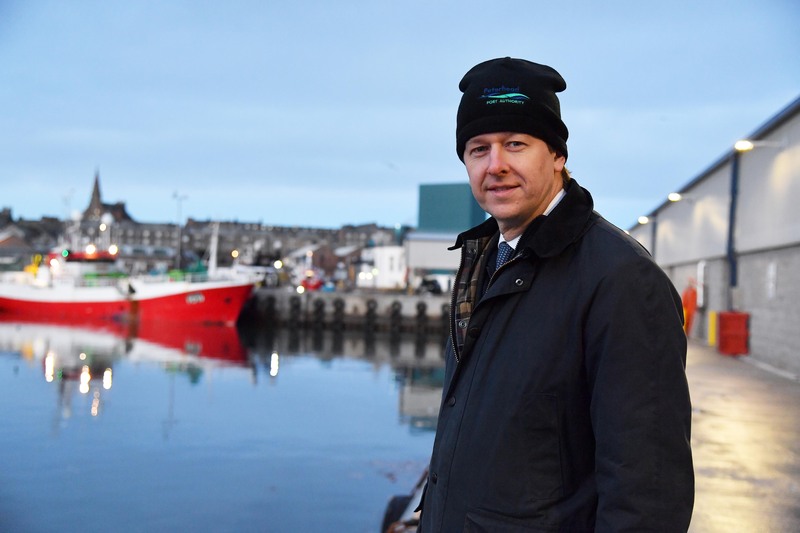 Well-known skipper and chief executive of the Scottish Seafood Association Jimmy Buchan, was happy to see another minister taking an interest in the market and speaking to “real people”.